room was ok, shower was clean but air cond didn't work. so, I spent two hours trying to fall asleep but basically fell unconsciousness cause it was very hot. 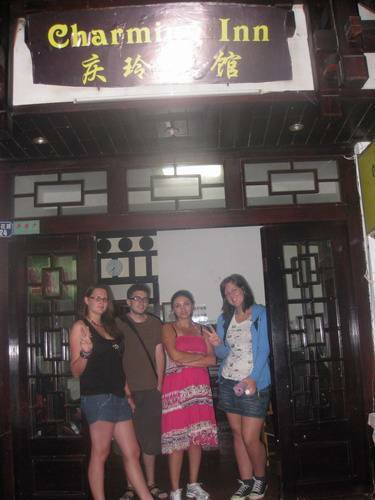 CHARMING INN is located downtown at West Street, 5 minute walk from the bus station, and 5 minute walk to the Li river . All our rooms have a private bathroom with western style toilet, 24-hour hot water, air-conditioning/heating, and a television. There is a great view from the rooms, all are very quiet , clean and comfortable. Some of our rooms have a private balcony. In our lobby you can use the internet for free. All common areas & rooms have Wi-Fi. We speak very good English and can help you with all your needs. We even have a laundry service . 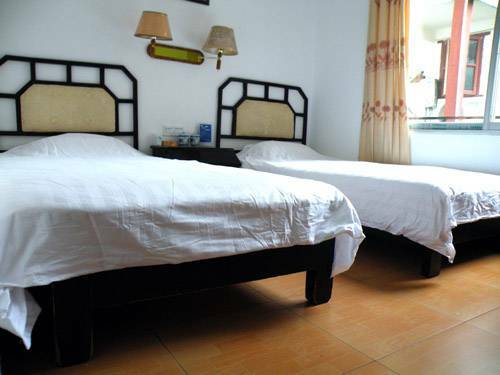 So Whether you travel to YangShuo with your family or for relaxation by yourself, choose the CHARMING INN! It will be a great choice. In addition we can book bus, train, and flight tickets to your next destination. Bamboo raft trips on the Yulong(dragon) river. Kayaking on the Li river. Boat trips from Xing Ping and Yangshuo. Water cave with mudbath and hot spring . Stunning lightshow on the Li River with 600 people performing a play directed by Zhang Yimou (director of the 2008 Beijing Olympic opening ceremony). Cormorant fishing at night with local fishermen. Chinese cooking courses, Kung Fu, Tai Chi & caligraphy lessons. Private transport to anywhere you could possibly wish to go. Daytrips to the Long Ji rice terraces. We can also arrange an Englsih speaking tour guide if you require one. We are looking forward to you being our guest! West Street, Li river, Green Lotus Peak, Yangshuo Park. 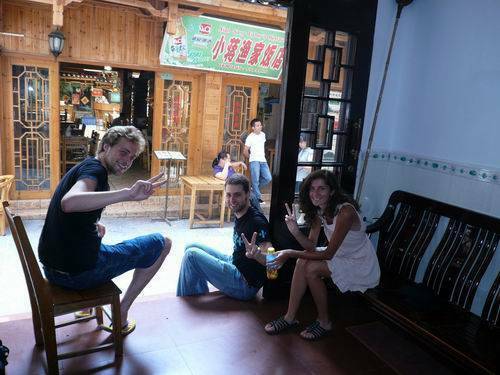 Most people arrive in Guilin before coming to Yangshuo, because it has an airport and train station, from Guilin it is 65 km to Yangshuo & you should go to the bus station. 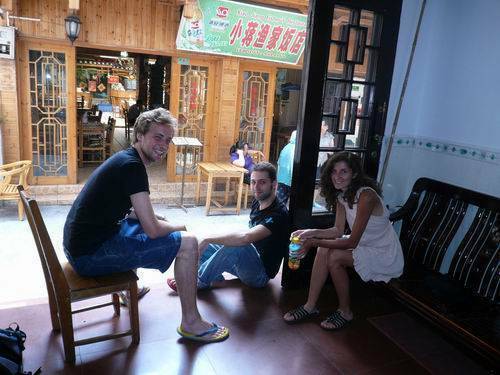 If you come to Yangshuo by sleeper bus from Guangzhou, Shenzhen, or Zhuhai you will arrive in Yangshuo before Guilin. 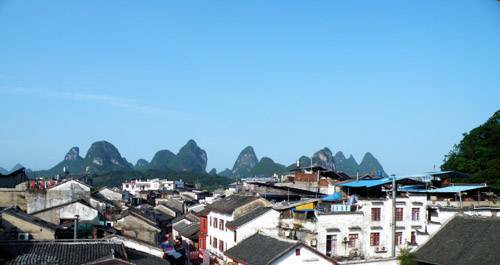 If you arrive at Yangshuo bus station, go out of the bus station to Pantao Rd. turn left & walk for 2 minutes until you get to West Street. Walk down West Street for about another 2 minutes, you will arrive at GUI HUA LU, a small lane on the left, turn left down this lane and CHARMING INN is near the corner on the right side. If you get dropped off at the petrol station, turn right & walk along Pantao Road until you come to the bus station. It is about 1 km so you might want to take a taxi which should cost around 10RMB. BE AWARE: Sometimes touts try to get you off the bus if you are coming from Guilin before you reach your destination. Even the bus driver can be involved. Don't get off until you arrive at the actual bus station. 65KM from Guilin train and bus station.